What a happy harvest! 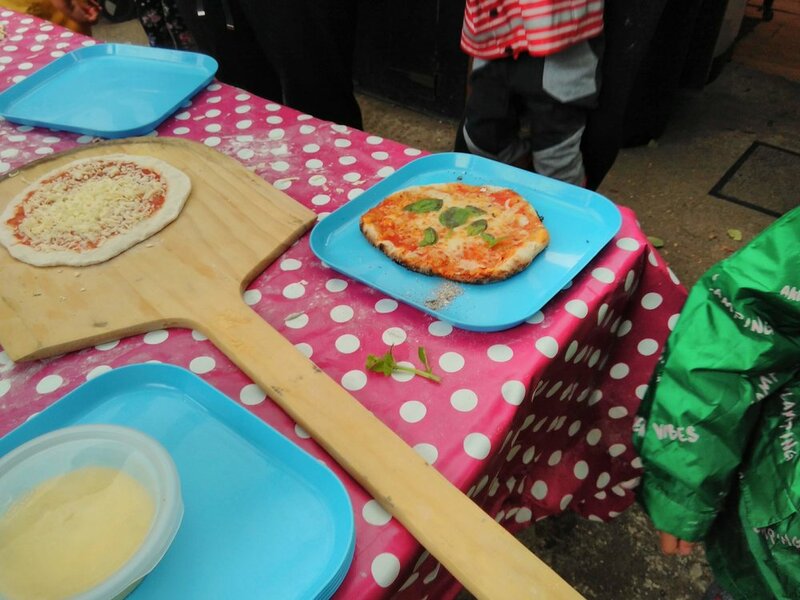 Although it was chucking it down today, at Families Go Wild, we don’t let rain ruin our fun! In fact, we know how important it is for our plants to grow healthily, so we don’t mind it! Speaking of our plants, today some got harvested for us to enjoy at our Harvest Festival. We thought it looked like a spaceship, or a round foot with toes all the way round. What do you think? We also harvested some tomatoes, basil and salad, grown by one of our gardeners, Franc. Thanks, Franc! They were delicious with our pizza. A couple of bits of the salad were grown by us as well - peppery nasturtium leaves and beautiful chard! We made sure to wash the produce before cooking it, as well as our hands! We all made a great joint effort preparing for our harvest time meal - pizza! Some of us got to work making the dough, carefully measuring out ingredients, adding them and stirring the mixture all together. While this was going on, other volunteers were chopping and cooking the squash, mixing up a lovely tomato sauce, and grating cheese for our pizzas! We were all so busy! Once the dough was mixed to the right texture, we divided it into sections and each one of our young volunteers shaped their section into their own pizza base. We then added tomato sauce and cheese, and some of the harvested veg. We took turns to cook our pizzas in the pizza oven, and waited patiently while others were cooking. We didn’t have to wait too long though, as the oven was nice and hot! A couple had been made already to give us some ideas, and we got very creative designing our own. 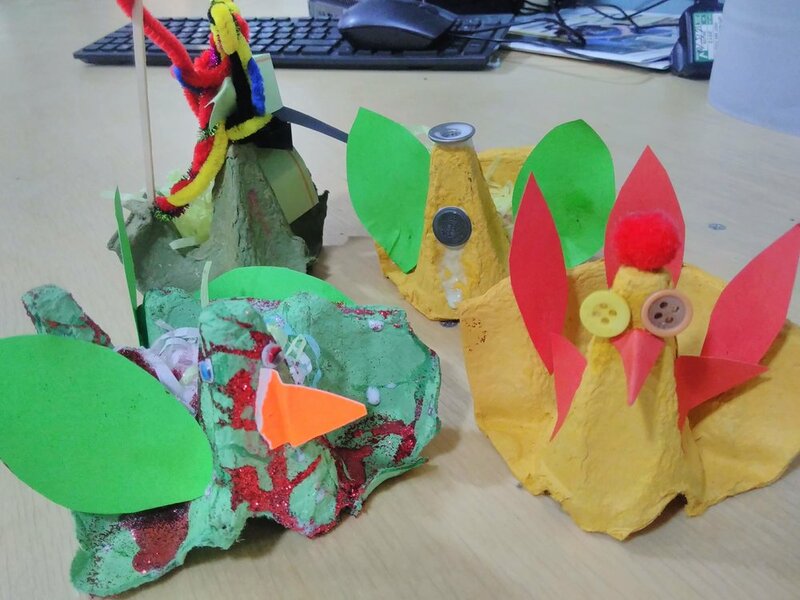 Some of us made birds and chicken egg holders and some of us made other sorts of creatures. The pizza and squash was great fuel for our creative session - they all looked great! Have you seen Families go wild's Amazon wish list? Donations are essential to supply ingredients and materials for our sessions! We also appreciate donations from other retailers!